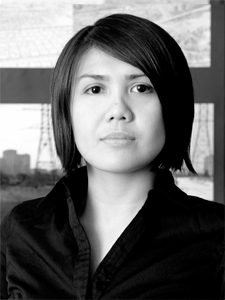 Janice Quieta is an OAA registered architect, and a LEED Green Associate. She received her Master of Architecture degree from Dalhousie University after completing a Bachelor of Architectural Science degree at Ryerson University. Her graduate thesis examined the feasibility of retrofitting post-war residential towers in Toronto’s St. Jamestown using a socially and ecologically sustainable program. She has studied and worked in Toronto, Halifax, Dusseldorf, and Koln and participated in a number of national and international design competitions in Canada and Germany. Before joining ERA, Janice worked as an assistant architect on master planning, urban design, and residential and industrial projects. At ERA, her work focuses on restoration, renovation, and new construction, with a particular interest in sustainable technology at the intersection of new and existing materials.